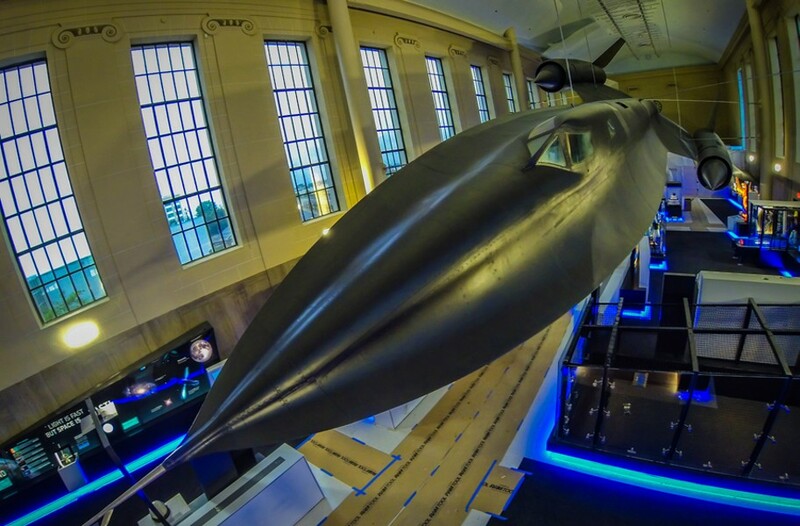 Event Pick: "Speed" at the Science Museum of Virginia | Night and Day | Style Weekly - Richmond, VA local news, arts, and events. We are a culture obsessed with speed. Most everything in our modern society is predicated on how fast things can happen. The new permanent exhibit at the Science Museum of Virginia, Speed, examines the myriad of velocities in our ever-changing world. Including mechanized speeds and the accelerations of nature, the exhibition features more than 50 hands-on exhibits demystifying the intersection between motion and time that often goes undetected. Yes, one visual centerpiece includes a SR-71 Blackbird supersonic spy plane hanging from the ceiling and elsewhere you can challenge a robot to a game of air hockey. You’ll probably lose. Inquiring minds of all ages should find much to enjoy within the impressive collection and much to learn on scientific topics from climate change and evolution to special relativity. Speed is included with museum admission; exhibit admission is $14 for adults, with $1 discount for children and seniors. Call 864-1400 or visit smv.org.